Oral problems commonly observed in elderly people include caries, periodontal diseases, tooth loss, xerostomia, candidiasis and cancer.11,12 The Canadian Health Measures Survey (CHMS), conducted from March 2007 to February 2009 sampled 5,600 Canadians from approximately 97% of the population, excluding people living on Aboriginal reserves or Crown lands, members of the Canadian Forces, residents of institutions and residents in some remote regions.13 Dwellings of known household composition were stratified into 5 age groups: 6–11, 12–19, 20–39, 40–59 and 60–79 years. Very young (< 6 years) and very old (> 80 years) people were excluded. Each participant was interviewed and underwent a physical (including oral) examination. During the interviews, questions about oral health were related to the comfort and appearance of the mouth and teeth, the effects of oral disabilities, oral care habits, visits to dental professionals and dental insurance coverage. The oral examinations were performed by dentists whose examination skills were calibrated to achieve high agreement (Cohen’s kappa coefficient ≥ 0.6) with clinical criteria recommended by the World Health Organization. During the examination, the dentist gathered data on occlusion, mucosal lesions, accumulation of debris and calculus, gingivitis, edentulism, prostheses and trauma to the incisors. The prevalence and severity of caries were estimated from the average numbers of decayed (D), missing (M) and filled (F) teeth (DMFT). Periodontal status was represented by the deepest probing depth on 1 of 10 indicator teeth and mean loss of attachment on 6 sites of indicator teeth. The data collected are suitable for developing policies about oral health needs in Canada but are inadequate for clinical research. The CMHS revealed that almost everyone in the oldest age group (60–79 years) had at least 1 DMFT (excluding wisdom teeth). This age group had the highest mean DMFT (15.7, consisting of D = 0.4, M = 5.6 and F = 9.7) and the highest rate of edentulism (22%).13 Nonetheless, earlier studies in various countries have identified a trend toward the retention of more natural teeth in older age,14,15 and this trend is supported by evidence from Statistics Canada that the rate of edentulism among those older than 65 years declined in Canada from 43% in 1990 to 30% in 2003.16 More recently, the CHMS found that over half (58%) of those 60–79 years of age retained more than 21 natural teeth (mean = 19). Older adults participating in the survey claimed to brush and floss as frequently as the younger participants, yet more than a tenth (11%) had untreated root caries, and nearly one-third (31%) had at least one periodontal pocket of at least 4 mm. Although oral problems were distributed similarly in both the oldest age group and in the 40- to 59-year age group,13 there was a greater need for professionally administered preventive and restorative therapies, particularly to prevent and control caries. This can be explained by accelerating factors such as loss of gingival attachment, dry mouth and reduced dexterity, and possibly because the pathogenesis of dental diseases follows a different pattern with advancing age. Poor oral health can adversely affect quality of life20 by imposing a physiological burden, particularly among elderly people. For example, hyposalivation, which is common in old age, arises from hypofunction of the salivary glands, the manifestations of systemic diseases such as diabetes and the adverse effects of medications or radiotherapy for cancer. Polypharmacy is common in older adults, and multiple medications can interact to induce dry mouth. Nearly one-third (29%) of adults 65 years or older living independently in Ontario reported xerostomia.21 Loss of the natural cleansing effect of saliva increases the oral bacterial load, which predisposes a frail person to dental problems and other systemic conditions, such as aspiration pneumonia,22 coronary artery disease and cerebral infarction.23 Moreover, people with subjective xerostomia and tooth loss may have reduced masticatory ability24; food avoidance from fibre, protein, vitamins25,26 and minerals27; and impairment of speech.28 Malnutrition may reduce immunity against infection29 and has been associated with cardiovascular disease,30 poor cognitive performance31 and periodontal disease in older adults.32In turn, periodontal disease increases the risk of root caries33 and further tooth loss. Indeed, this vicious cycle of poor dentition, malnutrition and increased comorbidities (including dental comorbidities) can escalate to inflate medical expenses across the population, with far-reaching consequences for society in general. Mandatory retirement has been abolished in many provinces in Canada and may be removed at the federal level.34 As such, a large proportion of those over 65 years of age may wish to remain in the workforce.35However, poor oral health can create psychological and social constraints, by undermining general appearance and limiting a person’s confidence in social interactions36 and his or her ability to secure or retain a job.19 Furthermore, older adults with poor oral health tend to lead an inactive lifestyle.37 More specifically, the CHMS showed that approximately 40% of those 60–79 years of age reported an average of 3.5 hours lost from work or normal activities per year because of dental sick days.13 Unexpected absence from work38 due to acute oral discomfort or pain could create financial and socio-economic strains at the individual, corporate and social levels. Utilization of dental services in Canada has risen modestly, from 44% to 68%, since 1970.13,46 Over the same period, dental expenditures per capita have increased approximately fourfold,47 which indicates that either dental services have become more costly or individual patients are utilizing more services. Data from the CHMS indicate that income is a strong determinant of health status and access to care.13 The inequitable situation is even more palpable for elderly people, especially if they have lost insurance coverage after retirement and have become more frail . The next article in this 3-part series will discuss the barriers to oral health care faced by the elderly population in Canada and the ethical considerations associated with inequities in oral care. Naito M, Yuasa H, Nomura Y, Nakayama T, Hamajima N, Hanada N. Oral health status and health-related quality of life: a systematic review. J Oral Sci. 2006;48(1):1-7. Gilmour H, Park J. Dependency, chronic conditions and pain in seniors. Health Rep. 2006;16 Suppl:21-31. Komulainen K, Ylöstalo P, Syrjälä AM, Ruoppi P, Knuuttila M, Sulkava R, et al. Associations of instrumental activities of daily living and handgrip strength with oral self-care among home-dwelling elderly 75+. Gerodontology. 2012;29(2):e135-42. Epub 2012 Jan 12. Grignon M, Hurley J, Wang L, Allin S. Inequity in a market-based health system: Evidence from Canada's dental sector. Health Policy. 2010;98(1):81-90. Epub 2010 Jun 23. Millar WJ, Locker D. Dental insurance and use of dental services. Health Rep. 1999;11(1):55-67. Health Canada. 2011. Canada’s Health Care System [accessed 2011 Sep 4]. Available: http://www.hc-sc.gc.ca/hcs-sss/pubs/system-regime/2011-hcs-sss/index-eng.php#a8. Gonsalves WC, Wrightson AS, Henry RG. Common oral conditions in older persons. Am Fam Physician. 2008;78(7):845-52. Douglass JM. Mobile dental vans: planning considerations and productivity. J Public Health Dent. 2005;65(2):110-3. Millar WJ, Locker D. Edentulism and denture use. Health Rep. 2005;17(1): 55-8. Bedos C, Levine A, Brodeur JM. How people on social assistance perceive, experience, and improve oral health. J Dent Res. 2009;88(7):653-7. De Marchi RJ, Leal AF, Padilha DM, Brondani MA. Vulnerability and the psychosocial aspects of tooth loss in old age: a Southern Brazilian study. J Cross Cult Gerontol. 2012;27(3):236-58. Azarpazhooh A, Leake JL. Systematic review of the association between respiratory diseases and oral health. J Periodontol. 2006;77(9):1465-82. Okada K, Enoki H, Izawa S, Iguchi A, Kuzuya M. Association between masticatory performance and anthropometric measurements and nutritional status in the elderly. Geriatr Gerontol Int. 2010;10(1):56-63. Nowjack-Raymer RE, Sheiham A. Numbers of natural teeth, diet, and nutritional status in US adults. J Dent Res. 2007;86(12):1171-5. Quandt SA, Chen H, Bell RA, Savoca MR, Anderson AM, Leng X, et al. Food avoidance and food modification practices of older rural adults: association with oral health status and implications for service provision. Gerontologist. 2010;50(1):100-11. Sahyoun NR, Lin CL, Krall E. Nutritional status of the older adult is associated with dentition status. J Am Diet Assoc. 2003;103(1):61-6. Boehm TK, Scannapieco FA. The epidemiology, consequences and management of periodontal disease in older adults. J Am Dent Assoc. 2007;138 Suppl:26S-33S. Wardwell L, Chapman-Novakofski K, Herrel S, Woods J. Nutrient intake and immune function of elderly subjects. J Am Diet Assoc. 2008;108(12):2005-12. Nagura J, Iso H, Watanabe Y, Maruyama K, Date C, Toyoshima H, et al. Fruit, vegetable and bean intake and mortality from cardiovascular disease among Japanese men and women: the JACC Study. Br J Nutr. 2009;102(2):285-92. Vogel T, Dali-Youcef N, Kaltenbach G, Andrès E. Homocysteine, vitamin B12, folate and cognitive functions: a systematic and critical review of the literature. Int J Clin Pract. 2009;63(7):1061-7. Yu YH, Kuo HK, Lai YL. The association between serum folate levels and periodontal disease in older adults: data from the National Health and Nutrition Examination Survey 2001/02. J Am Geriatr Soc. 2007;55(1):108-13. Sugihara N, Maki Y, Okawa Y, Hosaka M, Matsukubo T, Takaesu Y. Factors associated with root surface caries in elderly. Bull Tokyo Dent Coll. 2010;51(1):23-30. Canada’s Economic Action Plan. Eliminating the mandatory retirement age [accessed Apr 2012]. Available: http://actionplan.gc.ca/en/initiative/eliminating-mandatory-retirement-age. Swoboda J, Kiyak HA, Persson RE, Persson R, Yamaguchi DK, MacEntee MI, et al. 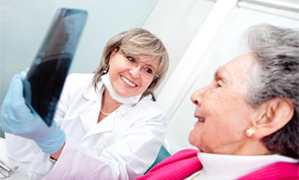 Predictors of oral health quality of life in older adults. Spec Care Dentist. 2006;26(4):137-44. Gift HC, Reisine ST, Larach DC. The social impact of dental problems and visits. Am J Public Health. 1992;82(12):1663-8. Parkin DM, Bray F, Ferlay J, Pisani P. Global cancer statistics, 2002. CA Cancer J Clin. 2005;55(2):74-108. Hawkins RJ, Main PA, Locker D. Oral health status and treatment needs of Canadian adults aged 85 years and over. Spec Care Dentist. 1998;18(4):164-9.